Two Los Angeles Police Department officers drove a homeless man to a Ross Dress for Less store in Hollywood and bought him clothes and shoes earlier this month. Witness Marc Najjar thought the officers deserved recognition and contacted ABC7. The officers were responding to a radio call of a disturbance, but when they arrived at the scene, they found no crime — only a man with no shirt or shoes on a cold, wet morning. 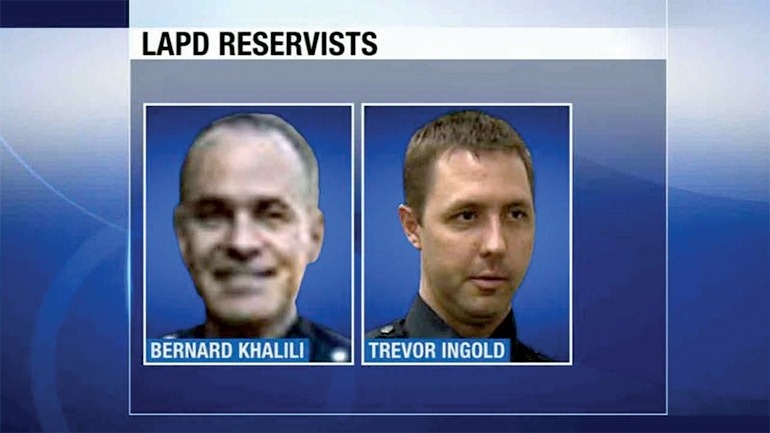 So the officers, identified as Bernard Khalili and Trevor Ingold, drove the man to the off-price department store in Hollywood and bought the man a shirt, a jacket and a pair of shoes. Then customers, realizing what the officers had done, chipped in themselves to buy the man even more. LAPD Sergeant Leonard Calderon says the officers never reported what they had done. The news story is online at http://abc7.com/news/lapd-officers-buy-clothes-for-homeless-man/450694/.